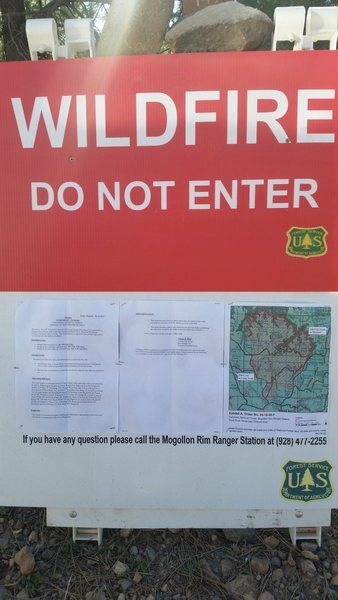 Climbers visiting West Clear Creek should remember that it is a federally designated wilderness area. As such, placing fixed anchors, especially bolts, is discouraged at West Clear Creek, and forbidden in some wildernesses. The GPS coordinates are N34 32.748, W111 26.015 Located north of Strawberry off highway 260. Enter FR 144, which is about 5 miles north of the intersection of hwy 260 and HWY 87. Turn right off hwy 260 onto Fr144, also called Fr 149 on some maps. Drive to T intersection (1.7miles) and go left onto FR149, drive 1.1 miles and turn right(FR142) at large intersection. Drive 1.0 miles and turn left(142e) - after which you will immediately cross a cattle guard. Drive approximately 3 miles until it ends at trailhead. Hike the trail into the canyon. Routes are upstream. Again, please keep this area clean. ● It's Super Body, YO! On the way to Anti-Crag at West Clear Creek. Scott near the top during FA of "Moki Dogway"